Grace-Notez shares some favourite music/dance Artists and their stories . . . . . . .
​Synopsis: The Groove is Not Trivial follows master fiddler Alasdair Fraser’s personal journey in search of self expression, a quest that has led him to dig deep into his Scottish musical roots. There he finds a universal pulse —a groove — that runs through his virtuosic performances with cellist Natalie Haas and his dynamic teaching at his wildly popular, freewheeling fiddle camps in California, Scotland, and Spain. At his gatherings around the world for musicians of all ages and abilities, ‘the groove’ is a through-line from the past that sparks hopeful possibilities for the future. She's been called a "sensation" by Billboard magazine and "the Jimi Hendrix of the violin," by The New York Times. "She electrifies the crowd with a dazzling show of virtuoso playing" says The Irish Times. Ivers' recording credits include over 80 contemporary and traditional albums and numerous movie scores. Eileen is hailed as one of the great innovators and pioneers in the Celtic and World music genres. is a musician and composer. He plays the violin. He began studying at the age of 7 in Spenderian Music School under the tutoring of Armen Minasian. In the competitions he participated, he won all the first place prizes in his age group . He played Henry Vieuxtemps'es 2nd concert on his graduation day and received a standing ovation from all the faculty members. He continued his studies at Tchaikovsky’s Music Conservatory, under the guidance and tutoring of Maestro Edward Dayan. In the following years he became the professor's pride and strongest prospect for future concert violinist. At his graduation, he played several classical compositions including, Bach's Adagio and Fugue in G Minor, Mozart's violin concert No. 5 in A Major, Paganini's Caprice No. 21 in A Major, and Sarasate's Gypsy Melodies. In 1993 Mr. Yervinyan earned his PhD from Yerevan State Musical Conservatory in Republic of Armenia. He has performed during the 2003 and 2004 Ethnicity world tours with Yanni, as well as the 2005 Yanni Live! tour. He appears on Yanni's live album and video, Yanni Live! The Concert Event. 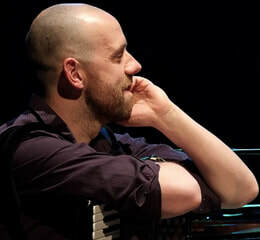 ​​"Through his brilliant duo with fiddler Ruaridh Campbell, his work with the marvellously pigeonhole-resistant Halton Quartet and his achievements as producer on myriad recordings, accordionist and keyboard player Angus Lyon is one of the traditional music scene’s most creative talents.” – The Herald (UK). Angus is a musician, producer & composer based in Scotland. He is a member of Blazin’ Fiddles & The Halton Quartet who has also recorded & performed alongside Yusuf Islam (Cat Stevens), Paul McCartney, Bobby McFerrin, Craig Armstrong, Blue Rose Code, Eliza Carthy, Matt Costa, Bella Hardy & many more! ​Angus Lyon is a member of both Blazin’ Fiddles & The Halton Quartet who has also recorded & performed alongside Yusuf Islam (Cat Stevens), Paul McCartney, Bobby McFerrin, Craig Armstrong, Blue Rose Code, Eliza Carthy, Matt Costa, Bella Hardy & many more! has been described as “one of the most exciting and innovative fiddle players of the times.” He is a founding member of Scottish super-group “Session A9”, who were voted best live act at the 2012 Trad Awards, as well as being a respected fiddle tutor, composer, session musician and producer. His playing has featured on more than 50 albums. Gregor grew up near Inverness in the Scottish highlands and started fiddle lessons with Donald Riddell at the age of 9. After several years and success in fiddle competitions all over Scotland, Donald sent him to continue his studies with Hector MacAndrew, an acclaimed fiddler in the north-eastern tradition. Both his teachers inspired and influenced his great love of highland pipe marches and stirring strathspeys. After moving to Edinburgh, Gregor played, toured and recorded with many great bands and artists - Kathryn Tickell, Davy Steele, Jim Malcolm and Burach, to name just a few. He now has his own teaching studio in Edinburgh, runs annual fiddle weeks in stunning locations, teaches at clubs all around Scotland and is in demand as a guest instructor at fiddle schools as far afield as the USA and New Zealand. ​As they approach their 50th anniversary in 2018, the Tannahill Weavers are one of Scotland's premier traditional bands. Their diverse repertoire spans the centuries with fire-driven instrumentals, topical songs, and original ballads and lullabies. Their music demonstrates to old and young alike the rich and varied musical heritage of the Celtic people. These versatile musicians have received worldwide accolades consistently over the years for their exuberant performances and outstanding recording efforts that seemingly can't get better...yet continue to do just that. thousands at the national festivals in Vancouver, Winnipeg and Toronto screaming an approval that echoed throughout the Canadian media. The Regina Leader-Post wrote, "The Tannahill Weavers personify Celtic music, and if you are given to superlatives, you have to call their talent 'awesome'." ​ folk and traditional arts. ​Burke's fiddle playing style was heavily influenced by the Sligo style playing of Michael Coleman, Paddy Killoran, and James Morrison. Burke described the style as being "the best of both worlds"—combining the driving rhythm of Donegal style and the smooth lyricism of Clare style. While acknowledging that his playing is "based on" the Sligo style, he also acknowledges being influenced by many different musical styles outside of Irish traditional music. For example, one of the distinctive features of his playing is the "strong backbeat he applies to many reels, with emphasis on every third quaver", presenting the emphasised beat with an up bow, versus the traditional approach of playing that pattern with an emphasised downbow. Burke also emphasises the strong beat by playing "an adjacent open string as the bow digs in. Aly embarked on a life of intensive playing, recording and travel that continues to this day. He helped establish the folk band Boys of the Lough with whom he toured extensively and recorded for many years.Simultaneously, Aly pursued a solo career in collaborative and television projects. In addition to his solo albums he has appeared on albums by 'Hue and Cry', Eddie Reader, Richard Thomson and 'Fish'. Although Aly's musical base is in Scotland his extensive travels have led to an appreciation and mastery of many kinds of music. He has applied this knowledge to the production of several networked television series bringing traditional music to a constantly widening audience, including the renowned series 'Down Home', which has now reached almost cult status. across America, the internationally famous 'Shetland Sessions' and 'Transatlantic Sessions 1 & 2.' The Transatlantic format was revived, with great success, at this year's Celtic Connections Festival, Aly co-producing with Jerry Douglas. He has been much in demand, too, as a radio presenter, notably for the weekly BBC Scotland programme Live at the Lemon Tree, and Cunningham and Co broadcast from Aberdeen. Perhaps his biggest challenge in such a diverse, hectic musical career was to write The Highlands and Islands Suite, a Scottish Arts Council-backed composition built to epic proportions and performed by a 150-strong assembly of musicians and singers in Glasgow in 1996. It was an unforgettable experience, and possibly one that, because of the huge numbers and organisation involved, can never be repeated. Perhaps not for the first time, it must have had Phil's old music teacher turning in his grave, and a headline in The Scotsman picked up this point neatly: "Suite Revenge". Who knows where this lifelong, and hugely creative, quest for retribution will take Phil Cunningham next? Superb, innovative instrumentalist, with not simply the fastest fingers in the West but some of the most sensitive ones, too! The man who, in Scotland at least, made the accordion respectable again and also plays fine keyboard and whistle;composer, whose range extends from heart-tugging slow airs to vibrant tunes for a string of successful theatrical productions and to full-scale concert suites, where bagpipes, bodhrans and bouzoukis meet up with sometimes bemused classical orchestras in a whirlpool of rampant, exuberant sound; powerhouse behind two innovative and hugely influential bands, Silly Wizard and Relativity; television and radio presenter, producer and director, involved in some of the seminal programmes that have enabled Scottish music to walk tall; record producer, responsible for many must-have albums; unfailingly affable, world-travelling ambassador for traditional music; humorist, whose breezy banter can have a 2000-seat hall falling about in the aisles; unfailingly patient, inspiring and witty musical partner of the great Shetland fiddler, Aly Bain; winner of countless music awards, including a writer's Grammy and, with Bonnie Raitt, multiple gold, silver and platinum albums; teacher, who not only helps young people but was on one occasion called in to give David Essex a singing lesson; Doctor of the University of Stirling, Member of the Order of the British Empire... where the hell do you start with Phil Cunningham? Perhaps at school - Portobello High, in Edinburgh. It was there that the gauntlet was thrown down. Although he had been the star violinist in the class of 1974, and had been studying classical music on the accordion, his departure at the age of 16 delighted the music teacher, who told him: "You're a waster, just like your brother. You'll do nothing, and go nowhere." Phil never forgot that. And, as his musical career increasingly took him to faraway places, never forgot to send the teacher a postcard. " Dear Sir. Here I am in Bermuda. Where are you?" Where Phil Cunningham is now is just about everywhere. He has recently completed Secret Scots, a series of radio interviews with world-famous names who have Scottish roots including the business icon Steve Forbes and, somewhat more surprisingly, General John de Chastelain. He has just finished working as presenter on a major new series for BBC TV called Scotland's Music with Phil Cunningham. It's 6 one hour documentaries which explore what's under the bonnet of Scotland's music. He is still composing, still producing records, still touring extensively with Aly Bain, still baffling his pals with his conjuring tricks, still being the irrepressible Phil. It all really started with Silly Wizard. Phil had harboured dreams of becoming a zoologist and he remains besotted with wildlife, from the tiny birds that come to feed in his country garden near South Queensferry to the elephants of Africa and the giants of the oceans. But instead of wildlife it was more a case of wild life when, after leaving school, he teamed up in Silly Wizard with elder brother John (now, sadly, no longer with us). The band were already taking Scotland by storm with their energetic, no-holds-barred approach to traditional music, and Phil's well-honed technical ability enabled him to cope with the kind of breakneck tempos for jigs and reels that they revelled in. But Phil, like fiddler John, was much more than a speed merchant, and in 1980 they demonstrated their more thoughtful side in a joint album, Against the Storm. Then came Phil's first solo album, Airs and Graces. Later in the mid-1980s, while still with Silly Wizard, Phil made his mark on America when he joined John in two albums by Relativity, a Scots-Irish quartet that also included Triona Ni Dhomhnaill and Michael O Dhomhnaill. But yet another door was about to open - television. In 1986, Aly Bain asked Phil to join him in a new series, Aly Bain and Friends. It was the start not only of Phil's television career but also a partnership that has endured until this day. Aly and Phil went on to record an album, The Pearl, featuring some of Phil's compositions, and have recorded and toured together tirelessly since then, mainly in Scotland, but also throughout Europe and the US. They have become the mainstay of BBC TV's annual Hogmanay show in Edinburgh, which reaches a worldwide audience, and are at the top of every list when a special occasion in Scotland demands special music - for example, they performed at the opening of the devolved Scottish Parliament in 1999 and later the funeral of the hugely respected First Minister, Donald Dewar - the nearest thing to a state funeral that Scotland has seen in centuries. In 1990, Phil added yet another string to his bow. He was commissioned by Bill Bryden to be musical director and, with John Tams, write the music for an epic, large-scale theatrical production, The Ship. He worked with Bryden on a later production, The Big Picnic. Meanwhile, Phil had become increasingly involved in the recording studio, producing work by other artists or collaborating with them. The list here is a lengthy one, but it includes (in addition to Bonnie Raitt and her phenomenally successful album Luck of the Draw), Cherish the Ladies, Eddi Reader, Dolores Keane, Altan, Connie Dover and Wolfstone. He has also worked with the likes of James Taylor, Rosanne Cash and Midge Ure. When David Essex decided that he wanted to sing Burns' Ae Fond Kiss on a New Years eve music special, Phil was asked to coach him through it. David sang a gloriously poignant version of the song.. cockney accent and all! Writing music for television and films has been another major activity. Phil's work can be heard in such classics as the BBC remake of Para Handy it required no fewer than 167 pieces of original music, albeit some of them only two seconds long, and the movie Last of the Mohicans, starring Daniel Day Lewis. His music has also been heard on some major American TV shows, including Dr Quinn Medicine Woman, Walker Texas Ranger, Good Morning America and General Hospital. ​Lindsey Stirling is one of the biggest artist development breakthrough stories in recent years. An acclaimed violinist from Gilbert, Ariz., Lindsey has entered a futurist world of electronic big beats and animation, using her classical violin training to leap through the music industry with over 10 million YouTube subscribers, over 2 billion views on her YouTube channel, 2 Billboard Music Awards, Billboard chart-topping hits and sold out tours worldwide. She’s created a new music world where modern classical meets the infectious energy of dance and electronica. On stage, Stirling moves with the grace of a ballerina but works the crowd into a frenzy, “dropping the beat” like a rave fairy. Recently, Lindsey released her first ever holiday album called Warmer in the Winter in October which featured classic and original songs and continues to climb the charts. She also was the runner-up on Season 25 of ABC’s hit show “Dancing with the Stars” with her partner Mark Ballas. Lindsey’s last album Brave Enough, debuted at #5 on Billboard’s Top 200 Album Chart and went on to score the #1 spot on Billboard’s year-end Top Dance/Electronic Album list, placing ahead of dance music heavyweights Chainsmokers, Flume and Kygo. The album also had the highest selling week for an album title on the ranking chart and Lindsey herself placed at #6 on the Billboard Top Dance/Electronic Artist year-end list. Collaborations on the album include ZZ Ward, Andrew McMahon and the Wilderness, Rivers Cuomo and Christina Perri to name a few, and earned Stirling a 2017 Billboard Music Award for “Top Dance/Electronic Album”. The album’s current single “Love’s Just A Feeling” featuring up and coming songstress Rooty, recently made its powerful debut on Jimmy Kimmel Live!, and has begun to pick up traction at radio across the US. and was certified Gold by the RIAA. The album reached #1 on Billboard’s Dance/Electronic Chart and Classical Album Chart and peaked at #23 on the Billboard Top 200. In 2014, Lindsey released her sophomore album Shatter Me which debuted at #2 on Billboard’s Top 200 album chart and has sold over a quarter million copies in the US. It was #2 on the Billboard Year End Dance Electronic Album Chart, #1 on the iTunes Album Chart, spent an impressive 21 weeks straight at the #1 spot on the Billboard Classical Album Chart, and was recently certified Gold by the RIAA. The album includes a collaboration with Halestorm lead singer Lzzy Hale on her smash single “Shatter Me,” which has over 78 million views on YouTube and took home the 2015 Billboard Music Award for “Top Dance/Electronic Album” of which Avicii, Disclosure, Calvin Harris and Skrillex were also nominated. RAPALJE Celtic Music with a difference! he musicians of Rapalje with their wild hair and medieval kilts create a flaming energy with their enthusiasm and motivation. With sensitive ballads, fiery songs and vivacious Celtic melodies Rapalje electrifies their audience. A concert of Rapalje is like a journey through time with recognizable licentiousness and a rough way of life. ​Vocals, Fiddle, Tin Whisle & Accordeon Dieb started his career, when he met Maceál in his local pub ’1672’. They formed a band with some other musicians and played symphonic rock music. This music was soon changed into folkrock. After hearing celtic folk music, the rock part was kicked out of the band and Dieb and Maceál started a duo called ‘Ruk en Pluk’. Dieb tried to play the accordion and Maceál the guitar. Every time Dieb had a new instrument it had to be tested on an audience immediately. Did you know…. …that in addition to the important musical contribution Dieb provides for the band, he is also responsible for the graphic artwork of Rapalje. For example: he created the logos of Rapalje and the Rapalje Zomerfolk Festival. ​Vocals, Gitouki, Mandonlin, Bodhrán & Tea-Chest-Bass Well known as a street performer in Groningen and Oldenburg because of his voice, music and charmes. Maceál playing on one side of the street and William on the other, playing the same instruments, didn’t work out. When Maceál learned to play the squeeze box and the tea-chest-bass they tried to play someting together. Maceál already had a duo with Dieb and introduced William to the band. His first introduction was on the CD ‘Celts in Kilts’. He sang the song ‘Jock Stuart’ and played gitouki on ‘The Drunken Sailor’ and ‘William’s Favourite’. Did you know… …that William, besides being a valued member of the band, is also known as the cook of Rapalje? He takes care of almost all meals during their tour, so everyone eats not only healthy but above all very tasty! ​Highlandpipes, Borderpipes, Tin Whistle & Low Whistle This half-Scottish enthusiast started playing the Scottish bagpipes in 1992 with the ‘Clan MacBeth Pipe Band’ from the city of Groningen. Nowadays, he is an instructor with this band as well as with ‘The Islanders’. David was ‘discovered’ by Rapalje during a Scottish festival, where he stood out amongst others because of his obvious talent and melodic way of playing. Playing Scottish bagpipes, tin whistle and low whistle this youngest asset to the band blows a fresh breeze through Rapalje. Did you know… …that, in addition to his activities for Rapalje, David is also the initiator of the Rapalje Zomerfolk Festival? Zomerfolk is the annual music festival the band organizes in Groningen. ​Vocals, Harmonica’s, Gitouki, Bodhrán & Tea-Chest-Bass This multi-instrumentalist was at first a one-man-band playing eleven instruments at the same time. Nowadays he playes three instruments simultaneously and thus, adds two imaginary bandmembers to Rapalje. After ‘Ruk en Pluk’ a group was formed with the name ‘De Eikeltjes aldus Ronald’. The first attempt to have a decent name was with ‘Klootjesfolk’. He invented a new instrument, the gitouki and complete new tunings for the mouth-organ and the squeezebox. Did you know… …that Maceál is so much more than just a musician in the band? He builds all of the sound systems for Rapalje and rents out other self-built sound systems to other bands and events, through his own company. Sharon is one of Ireland's best-known musicians, a former member of the Scottish-Irish band "THE WATERBOYS" and a gifted solo artist. Sharon has worked with many celebrities from the world of music, including world stars such as Bono and Adam of U2, Steve Earle, Jackson Browne and Nigel Kennedy. However, her career took a massive upward trajectory when in the late 80s she was asked to joined the seminal rock band The Waterbodys. Her first show with that band, to an audience of 50,000, was the on main stage at perhaps the most well-known music festival on earth-Glastonbury. The Indian peoples philosophy had a profound affect on Sharon and she reconnected with Justin Adams (producer and guitarist with Robert Plant) who has worked closely with many African musicians over the years, to co-produce Sacred Earth. Jim Murray plays with passion and maturity. With the Sharon Shannon Band he has brought his powerful rhythmic playing to the attention of audiences worldwide. At 10 years old he started playing the guitar, by the time he was 13 he was a regular in his father's Ceili Band, travelling the length and breadth of Ireland and England to play at dances. At University College Cork he formed his own band, The Living Tradition, and met Seamus Begley after playing support for him. Jim has quickly gained a reputation for his exciting style of playing and firmly established himself on the scene in Ireland, and as well as playing with Sharon Shannon, he has accompanied piping legend Liam O' Flynn, accordion player Seamus Begley, Capercaillie, and Iarla O Lionaird and Martin Hayes of The Gloaming. Jack Maher is from Dublin. Equally proficient as an acoustic and electric guitar player, Jack is also a singer in his own right and a songwriter. His songs have featured on many of Sharon Shannon’s recordings and one of his songs has been recorded by Eddi Reader. He fronts his own band- the Jack Maher trio. As well as guitar Jack plays mandolin and banjo and his live work and recordings brought him to perform with Van Morrison, Eddi Reader, Declan O Rourke, The High Kings, Mundy and many more. Jack has played and recorded with the Sharon Shannon Band for over 10 years. Young cellists Luka Sulic and Stjepan Hauser, together known as 2CELLOS, have achieved sensational success by taking cello to a new level. Their playing style has broken down the boundaries between musical genres, from classical and film music to pop and rock. 2CELLOS have no limits when it comes to performing live and are equally as impressive playing Bach and Vivaldi as they are rocking out AC/DC. 2CELLOS have also appeared on major TV shows such as The Tonight Show with Jay Leno, The Ellen DeGeneres Show, Monday Night Football in the USA, the UEFA Champions league final in the UK, were the first instrumental act to perform on the hugely popular series GLEE, and were broadcast to over 1 billion viewers as part of China’s CCTV New Year’s Gala in 2015. Their huge success in Japan was crowned with the Golden Disc Award for their second album IN2ITION and as a result, 20th January has been officially certified as a '2CELLOS Day' in Japan by Japanese Anniversary Association. ​Sulic and Hauser have played the cello since childhood; Sulic graduated from the acclaimed Royal Academy of Music in London, and Hauser from the Royal Northern College of Music in Manchester, both in 2011. Their latest album CELLOVERSE was released in January 2015 and debuted at No. 1 on the classical and crossover charts worldwide. Across this and their albums 2CELLOS (2011), IN2ITION (2012) and numerous side projects, they have collaborated with a huge range of artists, composers, and producers including Elton John, George Michael, Steven Tyler, Zucchero, Steve Vai, Lang Lang, Red Hot Chili Peppers, Queens of the Stone Age, Andrea Bocelli, Zubin Mehta, T Bone Burnett, Bob Ezrin and James Newton Howard. Fusion Fighters is a progressive performance company and online community first launched on St Patrick’s Day 2013 at the Mayor of London Festival in Trafalgar Square. For the past 5 years they have branched away from what has become the typical Irish dance experience in order to evolve for a modern audience while still preserving their traditions . The initiative has continued to grow and has now established itself worldwide working intensively in the creation, production and delivery of unique campaigns and community projects. With their message of ‘Creativity and Inclusion’ they offer a range of projects to include dancers of all ages and levels. The Fusion Fighters community has rapidly grown to be one of the largest and most influential dance communities in the world, with over 100K followers and achieving over 100 Million video views. With their viral success they are committed to using this platform to endorse and create campaigns to benefit others to expose awareness of important issues which affects us all. Their most recent campaign ‘Create Not Hate’ was launched in 2017 and continues on it's world tour of community projects this year. The Fusion Fighters crew will be joining together with dance schools in both major cities and remote areas to advocate positive change using dance as a way of bringing people together in their community and in creative ways to highlight others in need. (See ﻿Create Not Hate). The Fusion Fighters crew is made up of 30+ professional dancers and 100+ students around the world, mostly based in the UK & Ireland where they provide entertainment for a variety of corporate performances and festivals. The dancers are extensively trained in Irish dance, but are also skilled in many other dance forms like Tap, Contemporary and Body Percussion. The presentation of the Fusion Fighters performances are renowned for the uniqueness in approach to choreography, inclusion of stunning imagery and the collaboration of both modern and traditional Irish music. Applications Now Officially Open: Fusion Dance Fest 2018 (August 09th- 16th) (Optional Fleadh Cheoil Performances 17th-19th). Learn more at the Fusion Dance Festival website here! ​Chris is a performer, teacher & choreographer from Bristol UK. He began learning multiple styles of dance from the age of 4 but was soon hooked on the high-energy and rhythm of ‘Irish dance’. After many years of dancing on the ‘feis’ circuit for Sean Eireann McMahon dance school in Bristol, Chris retired from competitive dancing at the age of 19 after becoming All-Ireland, European, National & Regional Champion (As well as being part of a World Champion Figure Team). He graduated with a distinction in Performing Arts at Filton College in Bristol before joining Michael Flatley’s ‘Lord of the dance’ at the age of 20 where he then toured for 4 years. Highlights include being picked for corporate performances with Michael Flatley and performing at prestigious venues in over 40 countries. His professional dance career continued with other high profile companies including 5 years in ‘Riverdance’ & most recently as a featured dancer on Celtic Woman’s ’10 Yr Anniversary World Tour’. In 2010, Chris branched away from what had become the typical Irish Dance show experience and co-created an experimental street level project called ‘Sneaky Steppers’, a public ambush crew that would break into several styles of spontaneous dance for unsuspecting audiences. Notable achievements there include co-organising a Flash mob in Sydney Central Station with Tourism Ireland, which was a viral success on You Tube. (15 Million Views). When taking breaks from the touring shows, he spent his time living in ‘New York City’ and began to choreograph for various dance projects and collaborations including dance crew ‘Hammerstep’. He was also invited to be a choreographer for ‘Studio2Stage’ in New Jersey for a cast of more than 80 dancers. Chris has since been asked to teach performance workshops in his own unique ‘Irish Fusion’ style at festivals and studios worldwide. On his return to the UK, Chris launched his latest project ‘Fusion Fighters’ on St Patrick’s Day 2013. It quickly established itself through performance workshops, video projects, performances & online charity campaigns. Recent campaigns in 2016 alone have collectively received over 20 Million views, earning them a fast growing community of followers and interest across social media. Their professional dance crew also gained national exposure on a 30-minute documentary series called ‘Jigs & Wigs shown on BBC1, BBC2 & BBC4. 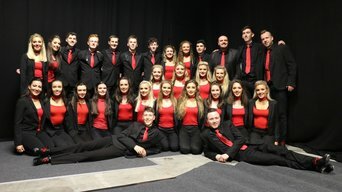 Highlights of their performances in Trafalgar Square to 15,000 people and The Royal Concert Hall in Glasgow at the '2016 World Irish Dance Championships 2016' & many more can be found on their YouTube page. The next step for the Fusion Fighters crew is to showcase their latest work at festivals and events across Europe in 2017 including 'Move It Dance, London', The 'Irish Folk Festival, Germany' and at ‘Fusion Dance Fest 2017, Limerick'. There are also plans in motion to launch a new campaign and documentary dubbed 'Dancers Create Not Hate', that will take place across all 6 Continents and involve around 1000 dancers. With plans to make 'Fusion Dance Fest' in Limerick an annual event and to expand it over to the United States in 2018, it's safe to say his growing online community will have lots to look forward to and to get involved with. Not to mention Chris will certainly have enough to keep himself busy.. The Red Hot Chilli Pipers were voted Scotland’s ‘Live Act of the Year in 2007 and 2010 at the Scots Trad Music Awards. Since they walked away with the top prize on UK primetime TV talent show, ‘When Will I Be Famous’ in 2007, the Red Hot Chilli Pipers haven’t stopped for a breath, other than to inflate their bagpipes! Taking their signature ‘Bagrock’ sound to the masses, The Chillis have fast become a global phenomenon, rocking far-flung shores from Melbourne to Milwaukee and everywhere in between. ​​With three albums already under their belts, the band’s most recent release ‘Music for the Kilted Generation’ took Bagrock up another gear in 2010. With clever covers of ‘Long Way to the Top’ by AC/DC, ‘Baba O’Reily’ by The Who and a great version of ‘Lowrider’ by War- just a few examples of how well rock tunes fit on the bagpipes! Previous live album and DVD ‘BLAST Live!’ (REL Records, 2009) has already gone triple platinum in Scotland plus second album ‘Bagrock To The Masses’ (REL Records, 2008) has just achieved gold status in the UK. tour of mainland Europe then coming home in August to perform at the world renowned Edinburgh Festival and Glasgow’s ‘Piping Live’-the band barely had time to do their washing before jetting off again! ​A six-week jaunt ‘Down Under’ followed with the guys managing to find time in amongst their hectic schedule to support the Scottish rugby team at the World Cup. Their Red Hot performances earned them a new legion of fans from Auckland to Adelaide! Further trips to the USA, Saudi Arabia and the UAE saw the band cement their reputation as one of the most exciting live acts around! The Red Hot Chilli Pipers sound is a fusion of traditional pipe tunes and contemporary anthems – tracks from across their four albums include the likes of ‘Clocks’ by Coldplay, ‘Chasing Cars’ by Snow Patrol, ‘Let Me Entertain You’ by Robbie Williams, Queen’s ‘We Will Rock You’, a rock medley of Deep Purple’s ‘Smoke On The Water’ and AC/DC’s ‘Thunderstruck’. Plus, ‘Flower of Scotland’, ‘Amazing Grace’ and ‘The Hills of Argyll’ get a look in too, Chilli style of course! New Album World Premier Sunday 4 March @ 1800 GMT! Music from the West of Ireland with passionate vocals and dazzling instrumentals. Dervish have been bringing Irish traditional music to the world for more than 25 years. Described by the BBC as “an icon of Irish music”, the band have played at festivals from Rock in Rio to Glastonbury, toured with the Irish President and struck up tunes on the Great Wall of China. All six members of Dervish are steeped in the musical traditions of counties Sligo and Leitrim in north-west Ireland. It’s an area which matches Atlantic coastline with storied mountains and rural landscapes. It has inspired a host of musicians, artists and writers, including the Nobel Prize-winning poet W. B. Yeats. The Dervish line-up is well established. In fact it includes four members from the earliest days of the band in 1989 – Shane Mitchell (accordion), Liam Kelly (flute/whistle), Brian McDonagh (mandola/mandolin) and Michael Holmes (bouzouki). Singer Cathy Jordan, also a mean bodhran (drum) player, joined in 1991 and fiddle Tom Morrow in 1998. ​ Bloc comprise three master fiddle players from three different and very distinctive Nordic regions. Kevin Henderson (Fiddlers' Bid, Boys of the Lough and Session A9) hails from Shetland; Olav Luksengard Mjelva is an award winning fiddle player from Norway and Anders Hall is an acclaimed exponent of the Swedish fiddle tradition. The Nordic Fiddlers Bloc skilfully weave the many components of their three musical cultures and traditions together in a hugely atmospheric and dynamic fashion, all laced through with liberal helpings of humour for good measure. accents, all supported by the powerful and exuberant rhythms of the Irish bodhran, African djembe, and acoustic guitar - creating what Irish Central calls "an earthiness that gives the songs a lively, approachable, down-home sound." "[The Gothard Sisters'] command over traditional and original material alike are striking chords with a wide audience. They accomplish none of this through taking shortcuts or pandering to a modern sensibility; instead, sincerity is their byword." "Seattle-based The Gothard Sisters demonstrate the persistent force of Celtic influence, coupled with its eternal freedom to innovate and evolve." Hanneke Cassel’s latest release Trip to Walden Pond features traditional Scottish and Cape Breton tunes and seventeen new pieces composed in the Scottish idiom. While her lively style is very much evident, this new album carries a deep, soulful sound with songs of celebration and farewell. Produced by Finnish musician Antti Järvelä (FRIGG, JPP, Baltic Crossing), the album showcases long-time musical collaborators cellist Mike Block, guitarists Keith Murphy and Christopher Lewis, fiddler/violist Jeremy Kittel, and pianist Dave Wiesler. Antti Järvelä contributes guitar and piano to a couple of tracks and piper Samppa Saarinen is featured on the uilleann pipes. Trip to Walden Pond, similar to Hanneke’s five previous albums, offers mellifluous arrangements of traditional fiddle music and original tunes that evoke humor and heart. This latest album also includes several compositions penned by Hanneke as commissions to benefit Many Hopes, a children’s education nonprofit based in Kenya that she avidly supports. Effervescent and engaging, Boston-based fiddler Hanneke Cassel is a performer, teacher and composer whose career spans over two decades. She has graced stages across North America, Europe, Australia and Asia. ​ 1/03/2018 Grace-Notez is under going a New Look! The aim is to give a fresh and easy view and access throughout the website. If you have a group, event or listing you would like posted send us the details on the Contact/Comments tab under the MORE tab. 11/5/2016 World Fiddle Day is this week on the 14th May !!! Check out the World Fiddle Day page on Face-Book to see the activities planned all around the world and post yours. at the Waipu Highland Games on New Years Day 2014 in New Zealand. 26/06/2013 July is to be a busy month here in New Zealand, Scotland & Ireland. In NZ we have Tartan Day Tattoo celebrations in Auckland & a month of Tartan fun in Waipu! In Scotland we have 2 Scottish Fiddle Workshops/Summer Schools. All details listed! 1/03/2013 Grace-Notez's website is 1 year old on St Patricks Day 17th March 2013!! be in the draw to win a special Grace-Notez creation!! Tick Like on Grace-Notez Face book page & be into win a Grace-Notez Gift! 25/01/2013 Exciting time of the year with Music Festivals & Highland Games throughout the country! sessions & catching up with friends!!! to have in the booklet format!! 3/10/2012 The 2013 Fiddle calendar is nearly ready for print & hope to have it available mid-October. Have had a few mugs printed with our photos & they are looking kool! Had a display of Canvas prints at the Auckland Irish Society Club Sunday. A lot of interest was very encouraging. 7/7/2012 July is the month to pack your bag, grab you passport & head to the UK! Festivals, workshops, tours in the summer months. Sooo many Kiwis are over there right now & the rest of us would like to be! But don't forget your Fiddle !!! 29/5/2012 June is to be a very busy month starting off with Ceol Aneas in Nelson this weekend. Followed next weekend by the National Celtic Festival in Portarlingon Australia. A large festival & also the Golden Fiddle Competition. Maleny Winter School 22nd - 24th ....need to get the passports out !! Maybe Grace & I will see you at one of them!! 25/5/2012 May has been a month of Gregor Borland & Sandy Brechin workshops, concerts, etc. Hopefully you managed to catch one of these! Very talented & entertaining....... a great opportunity for fiddlers & accordian players. Seen here at the Helensville, Hilltop Hideaway, in the Wild West!